Our headquarters is based in Phoenix and it is hot this time of year (average temperature is 105 degrees). And dry. And did I mention hot? Scorching really. Sweltering. You get it. It’s toasty. Why am I stating the obvious? My skin is seeing the effects. Older, drier, more lined, wrinkled, dull and lackluster. I know some of this has to do with me being of a certain age – over 25 years, let’s leave it at that. But what has happened and why am I looking older than I should? Is it really just the heat? There are a lot of reasons as to why I am not looking my best and yes, the dry heat is definitely not helping. Let’s start there. On the surface of the skin – why do I look like a parched cactus? I used to look plump with zero fine lines (ok, take that with a grain of salt) and my skin was glowing, bounced back really well, was smoother and now, not so much. I wanted to focus on this moisture loss factor as the main part of this blog. What can we do about this dehydration and loss of moisture in the skin? What has been lost? Can I bring it back? Aging as we know it can be caused by two main mechanisms – intrinsic aging (internal factors and unpreventable) and extrinsic aging (external factors such as UV radiation and pollution). So, the intrinsic aging is genetic, thank your parents if you age gracefully; whereas extrinsic aging can be the result of too much sun damage, smoking, and exposure to oxidative stress (free radicals). If you are prematurely aging, this is essentially your own responsibility. Youthful-looking skin is supple, retains its turgor (degree of elasticity), is very resilient and plump due to its high water content. One of the main components of our dermis is a molecule called hyaluronan or you may be more familiar with hyaluronic acid (HA) – not to be confused with alpha hydroxy acids. (AHAs). This molecule, HA, is key for skin hydration among other things. It has a very unique capacity to attract and retain water molecules and thus keeping skin plump and hydrated and working at optimum. When we are young, we have abundance of this molecule within our skin, in actual fact, 50% of HA is found in the skin itself. So what does this awesome molecule do and how does it affect my looks and can I get an IV of it pumped into me? Over the past couple of decades there has been a lot of evidence showcasing the role of HA. Here goes…. Hydration, lubrication of joints, space filler, framework for cells to travel. Did you know that HA synthesis is increased during tissue injury and wound healing? Interesting. It regulates tissue repair (activating inflammatory cells to enhance immune response) and it even helps provide framework for blood vessel formation. Mind. Blown. If you have not realized, it is vital. The hydration of the skin critically depends on HA-bound water in the dermis. As we age, this declines and thus if my dermis does not have enough HA, superficial dehydration is on the horizon. Those signs on my skin I mentioned earlier – yeah, they will appear. Want a reminder? Lines, wrinkles, dullness – deflated cactus. Hyaluronic acid has an active turnover rate. For example, in skin it is less than a day. So we need to help the skin by supplementing this phenomenal molecule topically in skincare products. By having this ingredient within your skincare regimen your skin will appear more plump, smoother, and the holy grail – glowing! I am sure you have heard that this molecule is rather large in size and so cannot always penetrate the skin and have a real impact. Not true anymore. Ingredients have limitations and need assistance to get where they need to go – these are called delivery systems. The majority of delivery systems are limited to the size and amount of ingredients they can deliver – similar to a balloon. Once the vehicle is full it’s full. But the latest technology allows ingredients to be delivered faster and deeper. Awesome. Now I can have my cake and eat it too. Since HA binds water it is called a humectant and attracts surrounding moisture to itself thus plumping the skin and smoothing lines. Hydrated skin is happy skin. And it shows. Something to consider; as amazing as hydrating moisturizers that contain HA are, sometimes it is not about applying it everywhere – rather, just applying it to the lines to help plump their appearance is best. TIP OF THE DAY: Apply the HA-filled product in small, circular motions just to the lines you would like smoothed out, then apply a thin layer all over if you so desire. Ok, I have found the best product with HA, but I have heard that it can actually cause more dehydration. True or false? Potentially true. If your skincare products do not contain ingredients to prevent transepidermal water loss (TEWL) then all that HA is of no use, it will be sucking all your moisture out into the dry atmosphere. Say goodbye to your expensive product and all the other amazing ingredients. Toodle-oo. Ingredients to look for you ask? Ophiopogon japonicus root extract (ingredient from the lily family known as snake’s beard), Jojoba esters and Niacinamide are great options. Bottom line – HA will plump skin, hydrate, smooth and ensure your skin is looking more aloe-like than limp cactus. Since this is a skinbetter science blog, I have to (and desperately want to) share why our InterFuse® Intensive Treatment LINES is indeed the ultimate in HA products. I previously mentioned the amazing, patented delivery system that can help HA get delivered faster and deeper, well that is exactly what this does! So this should be in your bathroom cabinet and here is why: this product is a non-invasive topical line smoother that uses the exact same, very large sizes that your injectable does (called pharmaceutical-quality and injectable-size) which means the molecules are ginormous and will bind even more water helping those pesky, deeper expression lines not appear as deep. 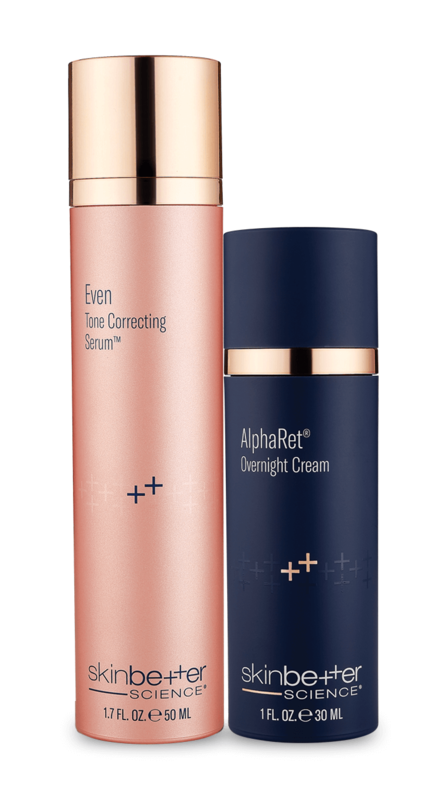 It has ingredients to prevent TEWL – helping to keep all that hydration in the skin. The peptides target collagen and the vitamin C is a phenomenal antioxidant – and when do I see the results? In as little as 4 weeks! Take that Phoenix heat, I am gaining hydration without losing years on my skin. Hyaluronic acid (HA) is an essential molecule for skin hydration. When we are young, we have an abundance of this molecule within our skin, but as we age we need to help the skin by supplementing this phenomenal molecule topically in skincare products. By including this ingredient and delivery technology within your skincare regimen your skin will appear more plump, smoother, and glowing! Learn more about skinbetter science InterFuse Intensive Treatment LINES.